Turmoil engulfed cryptocurrency markets again on Tuesday, with every major coin extending a rout that's rocked confidence in the nascent asset class just as U.S. regulators try to close in on alleged fraud. Bitcoin fell as much as 13 percent to $4,051, bringing this week's decline to more than 25 percent. It traded at almost $20,000 last December. The slide helped fuel a sell-off among rival tokens Ether, Litecoin and XRP, which pared an earlier loss that reached 17 percent. While the trigger for the latest sell-off is unclear, it has coincided with a "hard fork" of Bitcoin Cash. The move, which split the offshoot of the original Bitcoin into two, has underscored the sometimes chaotic nature of a crypto community racked by infighting. Bitcoin, which began the year above $14,000, broke through its floor of around $6,000 last week. "If you significantly slice through a level like $6,000, people don't have a lot of protection below it - and then you see a lot of stop-loss selling which exacerbates the move," said Marc Ostwald, global strategist at ADM Investor Services International in London. "It doesn't help that we have a genuinely risk-averse environment, with equities and credit under pressure." Regulatory concerns have also weighed on sentiment. 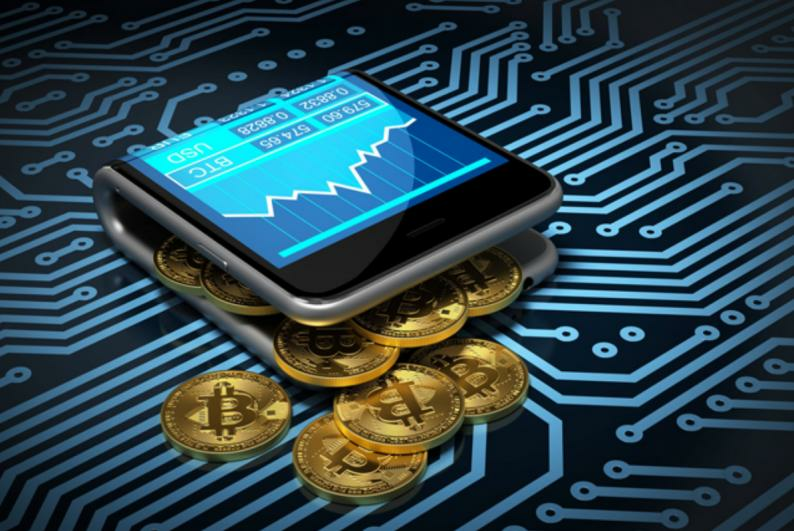 On Friday, the U.S. Securities and Exchange Commission announced civil penalties against two cryptocurrency companies that didn't register their initial coin offerings as securities. And on Tuesday, Bloomberg reported that the U.S. Justice Department is investigating whether last year's epic rally was fueled in part by manipulation, with traders driving up Bitcoin with Tether – a popular but controversial digital token. "The whole move by the SEC has seemed like a nail in the coffin, and with talk about price-rigging the market, it's getting nasty," said ADM's Ostwald. He said the approach of Bitcoin futures expiration can also give gyrations to the market. The combined open interest in Bitcoin futures on exchanges run by CME Group Inc. and Cboe Global Markets Inc. swelled to the equivalent of 22,266 Bitcoins on Monday, an all-time high. CME's current contract is set to finish trading in 10 days. Volume in the contracts, which allow institutional investors to profit from declines in cryptocurrencies, jumped to the highest level since July.